These Parker House Rolls are fluffy, light as a feather and melt in your mouth good. The leftovers are also fantastic the next morning slathered with jam, enjoyed with your morning coffee. Have I mentioned how much I love bread? This months theme for Bread Bakers is all about Thanksgiving Bread. My Thanksgiving will not be complete without these Cast Iron Parker House Rolls sitting on the table. I honestly think this is why I cant keep my weight down. They are so good and so worth it. Do some extra exercise if you must. Just don’t miss out on these. Oh and the leftovers are fantastic for breakfast all slathered in jam. Combine the warm water, milk, honey and yeast in a medium bowl. Allow the yeast to prove for 5 minutes. It should look bubbly. To your mixer add the yeast mixture, butter, flour and salt. Using your dough hook, kneed the dough until combined about 3-5 minutes. Transfer dough to a work surface and shape into a rectangle about 1 inch thick cut into uniformly sized pieces. Form each piece into a ball pinching the seams on the underside making a smooth top. Transfer dough to a greased pan, I use my Cast Iron Pan. Give the rolls a bit of room to rise. Allow to rise about 2 hours. Preheat oven to 375. Bake for about 20 minutes. 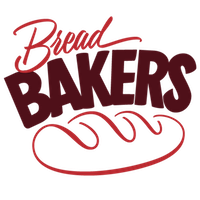 Here are other Bread Baker friends that want to participate in this months theme. I love this idea! I never baked bread in a skillet. Its a must try! Oooh, I can taste their honey sweet crumb right now, Vonnie! They are just perfect. What a lovely pan of rolls! Something about a cast iron skillet that just makes everything fantastic. Love how perfectly formed your rolls are. And a beautiful golden colour. These turned out so well! I love that there are 13 (unless I counted wrong!). The last time I baked rolls in my skillet I found that 13 fit perfectly and I laughed thinking of the saying “a baker’s dozen”. Maybe that is how it started– the baker had room for 13 rather than 12 in the pan! I love bread AND cast iron! such a delicious recipe! A few months ago I tried some Parker House rolls but they came out a bit dense (I think I made them too small). I will have to give yours a go! What a stunning presentation in the cast iron pan, love your Parker House Rolls. Gosh Veronica, those are gorgeous. Such an pretty photo!! The cast iron makes them even more beautiful. Hello Veronica, I just made this recipe and my whole family loved it. I just blogged about it and linked back to you.